Cascade Vehicle Shipping is dedicated to keeping a comfortable and happy work environment for their auto transport employees so they can give you the best customer service that you deserve. Their goal is to make clients feel like they are the only client. They encourage you to visit their Facebook page, and see photos of their staff so you will feel as if you're among friends. Not only do they care about their customers, but also they are committed to helping make a difference in the world we live in. This is "The Cascade Difference." "This company was wonderful. I have never shipped a car before and researched it out. Candice was my contact person and a joy to work with. Candice always returned our phone calls immediately and kept us informed. She moves at rabbits pace in order to get everything arranged. The price was very competitive." - Sharon White from Massachusetts to Georgia Cascade Vehicle Shipping has had a 5 Star rating with TransportReviews.com for over 3 years. They will match any price quoted by a 4 or 5 star rated Company on Transport Reviews. They offer a no-risk payment policy. Cascade Vehicle Shipping prides themselves on their no–risk policy that promises you will never pay a penny towards your vehicle shipment until after your vehicle has been loaded on to a well-selected transporter and is on its way to its destination. What kind of vehicle are you looking to ship? They can ship anything from motorcycles to RV's. They offer nationwide and overseas shipping. 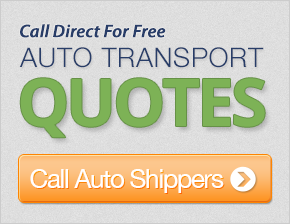 Get a free auto shipping quote from Cascade Vehicle Shipping today and save up to 50% on your car shipping rates! Everything was flawless. Support was very helpful, and our driver was incredibly nice and accommodating. The car made it safely to Boston in less than a week. Thank you so much for your wonderful service. Everyone I spoke to was extremely helpful and gave me the security of knowing that I was dealing with a top-notch company. I would recommend your company to anyone who needs this service. Our rep was very helpful and responded immediately to my questions. Your price was well below that of the carrier I had used previously. The shipper contacted me early on and arranged a meeting point. The driver was first rate, and I very much appreciated the care with which he loaded the car that I had owned for 28 years. Great job all around. Thanks! Customer support did not hesitate to give us a military discount when asked and we appreciated that courtesy and his responsiveness. Of special note, our driver was, simply, the best. He not only knew exactly what he was doing in loading the car, but he was friendly and courteous as well as proactive in calling me when he had difficulty in reaching my grandaughter for pick-up. We tried to get our car shipped without success by two other shipping brokers. We had waited a month on these two companies. Once we contacted you, our car was picked up within three days, and delivered three days after that. We are very happy with the transport service that we received from your company. We especially appreciate your driver. He was interested in making my part of the effort as convenient as possible The car arrived safe and sound, and our daughter is grateful that she did not have to make the drive herself. Thank you for a positive experience! The car made it 2600 miles in one piece, and sooner than what I thought it would take. My rep made the move easy. I will be using this moving company again. Thanks! Service was very helpful, friendly, and responded very promptly. Car arrived on time without a hitch. Thank you! Customer service was very fast, courteous and knowledgeable in the business. My situation was very time sensative, and they were able to deliver the goods when I needed it done. Thanks so much for such a professional job. Best wishes! The transport company was great to deal with and, with their help, I got it done. This is the fourth car that you have moved for me in the past year. Great price, fast service - you are the only car transport service I will ever use. Thanks again! Our driver was helpful, pleasant, polite and punctual. The driver was great and went the extra mile to pick up the car when it was most convenient for us, and delivered it right on time! The transporter was very, very helpful, and was in contact with us until delivery. Thanks! They were great every step of the way. They were very helpful in arranging the transport. Our vehicle was picked up and delivered on time. We were very pleased with this service. The gentleman that picked up my car was very nice, and he did exactly what you said he would do, like calling before he got there. Thank you so much! I would definitely recommend you guys to my friends and family! Car arrived in perfect condition. The driver was very courteous. Your service exceeded my expectations in every respect. Thank you so much! I thought customer support did a great job. They were persistent, but not annoying. They were very helpful in getting some answers for me, and very courteous. Customer support was very helpful during order booking, and I got the vehicle delivered on time as was promised. Thanks! Our customer service rep was very helpful and responsive to all aspects of this car move. Thanks! Customer support answered all my emails in time, and has been very responsive to my queries. I appreciate the quality service. I would recommend the company to my friends and colleagues. Thank you!